In a flash of a second or even a nanosecond, your life can take on a different direction. Each day brings with it many unexpected events that can alter the way we think, act or live the rest of our lives. As we turn the pages of a book and begin each new chapter, the author introduces more information about the characters, develops the plot and excites the reader to continue reading using vivid descriptions of the scenery, the actions of the characters and enveloping the reader and wrapping them so tightly within the pages of the book until the very last word on the last page. This brings me to my review of The Next Chapter by author Melanie Young. Carol Davidson, wife, mother and wedding photographer’s life is shattered in one brief moment. After speaking with her husband, Jim, not one hour before about their upcoming cruise for their 26th anniversary, the excitement, the happiness and the anticipation of spending this momentous occasion together will forever fade in her mind as the doorbell rings and an officer tells her of her husband’s fate in a deadly car accident. Like many people who lose their spouse, Carol created her own envelope or bubble that completely surrounded her and withdrew into her own world leaving many outside to fend for themselves. With a thriving business, a great next door neighbor and wonderful assistant, she devoted her time to Enchantments, her business and left her daughter and son-in-law outside the parameters of this bubble keeping others just within the walls but not too close. After four years of mourning Jim, her daughter Andrea and husband Jason visit her with exciting news and want her to come and live with them in Florida. Debating her choices and whether she wanted to give up her home, her tangible memories of Jim and her business, Carol faces some really hard choices and must decide whether a house and material things matter more than her daughter who wants to know her mother and lost the chance with her father due to the accident. What choice does she make? What does her daughter say to her when confronted that finally pushes her to decide? Visiting Andrea and Jason she meets Andrew a divorced father who Andrea and Jason buy their home and auto insurance from. Immediately taken with Carol he becomes an ardent fan of her moving to Florida. But, that decision is hers and although they seem to bond, Carol is still not ready for a real relationship and Andrew hopes to change that. Andrew the auto and home insurance salesman soon encounters his competition in Eddie the car salesman who definitely resembles Jim. The author takes us on a journey along with Carol with a woman who makes many life changing decisions, including where she will live, whether to have Sarah her assistant buy into her business as a partner, and learning to live life to its fullest. What does happen between Carol and Andrew remains to be seen. Will she prefer the man who looks like Jim? Andrea, Jason, Carol, Andrew, and her new granddaughter Jamie Grace will spend their lives on this exciting journey called life. With her best friend Joan’s sage and wise dating advice, which sounds like what my mother told me, and the support of her family, only time will tell when and if the next chapter in Carol’s life will be written. Dating does mean getting to know someone better to see if you really want to know them, as Joan states so brilliantly. My mother would add, the only thing a man is entitled to is the pleasure of your company and no fringe benefits. A date means going out and having conversation and that’s all. Relationships form over time and require trust, respect and understanding as you learn through Carol and Andrew. Good old fashion values definitely come through in this novel. Author Melanie Young brings to light the many issues that women deal with when they lose a spouse. Understanding how Carol reacted and feels reminds me of my mom after losing my Dad. She enveloped herself and isolated herself too and did not want to break the walls of that bubble and let the world and the sun back in. But, she did in her own way and now will Carol pop some holes in that bubble and allow it to burst, or will she forever not write the Next Chapter. Well written, with characters whose personalities are clearly defined and the many journeys that Carol takes, the reader hopes that her future will have many Next Chapters with happy endings. Let’s hope she lets the sun shine and back into her life. Five People: Carol, Andrea, Jason, Jamie Grace and you decide who gets the final spot. 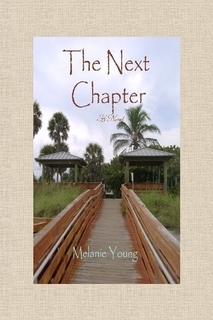 Up and coming Port St Lucie author Melanie Young has just released her newest book, The Next Chapter, a novel about lost love and new beginnings. 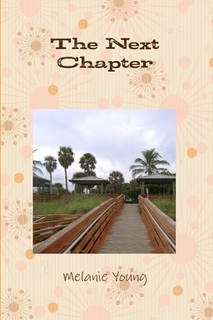 The Next Chapter is the story of a solid marriage of love, happiness and fulfillment; until that fateful day when it is ripped apart by a terrible automobile accident. Carol Davison is left torn apart, grieving that for that which will never be again. How will she survive? How does she move forward? How does she turn the page in “The Next Chapter” of her life? Read The Next Chapter and see how Carol Davison learns life’s lessons, heals, and finds love again. Port St Lucie author Melanie Young moved from Spokane, Washington a year ago and promptly settled into her passion for writing. She and her husband, Dean, enjoy the small town atmosphere of the bedroom community of Port St Lucie, along with their two dogs, Ginger and Tommy. Melanie also leads a local writers group, which meets at Barnes and Noble on US1 in Jensen Beach on the first Wednesday of every month at 7:00 pm. Feel free to join her there along with other local writers for meet and greet, or just to hang out. The Next Chapter is her first release, but certainly not her last. 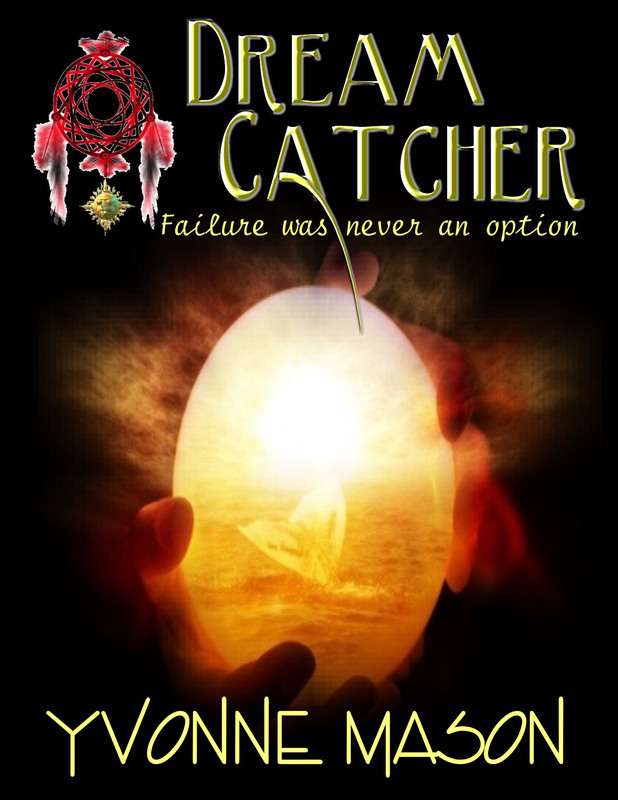 It can be purchased at lulu.com, amazonkindle.com, amazon.com and her online bookstore at http://auntmel.ecrater.com. If ordered from her online bookstore, you will receive your copy signed. Melanie is also doing a drawing for a tote bag filled with goodies from the book, The Next Chapter, as well as a copy of her next book, Read My Shorts. Contact Melanie at mybooks64@gmail.com for details. Good luck to all who enter. 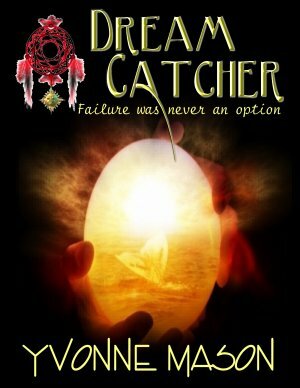 I want to let you know how much I enjoyed Dream Catcher. Stan’s story is so important, a story for our time, in helping us to see how essential it is that each child is accepted, included, and embraced in society and what they have to offer. Stan was fortunate that he had family and friends who fought for this and who believed in him. Thank you for writing this book, for sharing the gift of your family’s experience — the gift of Stan’s story. It is so perfectly titled. Back in the eighties, I volunteered at a church for what was called Saturday School for adults with Down’s syndrome and autism and other cognitive challenges. Class was usually followed by a church service that these beautiful people themselves led and conducted. I thought they were pretty amazing. They understood alot more than what we often gave them credit for. I sometimes wondered what they were doing in a class all by themselves and had alot of mixed feelings about it. It seemed that the class was more for the “benefit” of others who didn’t want these people mainstreamed, aside from the “once a year” services when they were actually included. I remember thinking that this is how it should be every Sunday. I used to be in total amazement of a little girl at one of the schools I used to substitute teach in. She was about seven and blind and was allowed to be in a regular classroom. Do you know that little girl could type word for word a whole story that I would read to her? She would type as I spoke. I would wait between sentences, but she let me know in no uncertain terms that I didn’t need to wait for her to “catch up”. She was always one step ahead of me. The other side of that coin are schools who group all “special needs” or cognitively impaired children together, shut up in a classroom by themselves with no interaction with other children, even for lunch. I realize the challenges but there’s something wrong with this. It seems that all it does is foster and reinforce old stereotypes. Both sides lose. Some years ago I suffered neurological symptoms that affected my speech and mobility. My entire life was flung upside-down in a matter of moments. I was pretty much homebound for sometime afterwards and I will never forget the intense pain of the isolation I felt. But many of these children endure isolation even into adulthood for all their lives. When friends at my current church asked for help for the Buddy Walk (for Down’s children), I volunteered. They have a son with Down’s and had been involved with organizing the walk for several years. It was very rewarding to be involved with an organization that promotes inclusion of these children and interaction with them. We live in a society that loves and worships what is “normal” (if even that can be defined), a society that often doesn’t have the time or capacity to cope with people on a personal level out of the ordinary “stream” of life. Your book offers hope by standing strong against stubborn stereotypes. I heartily recommend it to every parent and teacher. It should be in every educator’s library. 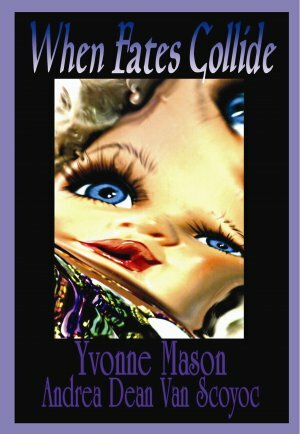 Thank you, Yvonne, for investing in writing this book. I believe it will be a strong voice for acceptance as more and more people are inspired by it. 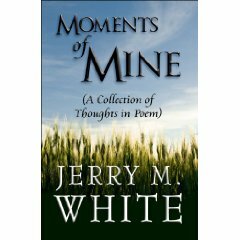 As I read the poems written by Jerry White, and the stories behind each poem, I couldn’t help but feel the love and devotion flow from each word. Mr. White has a way of taking any circumstance, both happy and sad, and turning it into something beautiful. The poem above was one of my favorites and I think you too will be able to feel his love for God, family and friends as you read this piece of word art. The Whittakers are having a family reunion for Martha Whittaker’s 40th birthday. Martha and her husband Jeremy can’t wait for the arrival of their sons. Isaac, the oldest, lives nearby with his wife and family. When his father Jebediah married Martha he hated her and stood his distance inflicting as much pain through his evil deeds as possible to make her sorry she married his father. But after the death of his father he realized what a blessing Martha actually was. They were now close and he was proud to call her his mother. Ezekiel lived in England. He took quite well to Martha as she taught him to read. Reading and learning were his passion and he later grown up to become a teacher. He couldn’t wait to see his mother. Abraham was the doctor in the family. His respect for his mother grew when his father beat him and Martha stepped in hoping to stop the brutal beating. Instead, she too was given a beating by his father. After being locked in the barn for hours, their closeness grew and he became the first one to call her mom. Jeremy was the brother of Jebediah. He had been sent by Martha’s father from England to America to rescue Martha from his evil brother. After the death of his brother, Jeremy found himself loving Martha and the boys enough to stay in America just to be with them and eventually marrying Martha. Jeremy and Martha’s marriage made the family complete. And with the birth of their daughter Anna, who could ask for more. After the abuse and beatings Jebediah inflicted on herself and her sons led her to treat her daughter Anna with a soft hand. Most agreed a too soft hand. Anna was spoiled, selfish, self-centered and held no respect for anyone other than herself. She became a constant burden to her parents. After sending her away to boarding school only to have her return unexpectedly, they agreed to give her hand in marriage to Martha’s bookkeeper. For Anna, this was exactly what she needed to free her from her mother. She happily agreed to the marriage but had her own plans in mind as to how she would treat the marriage. And then there is Red who is determined to destroy the Whittaker family. How will he do this? He will start with the women in the family which will bring the men to their knees. Then he will destroy them. 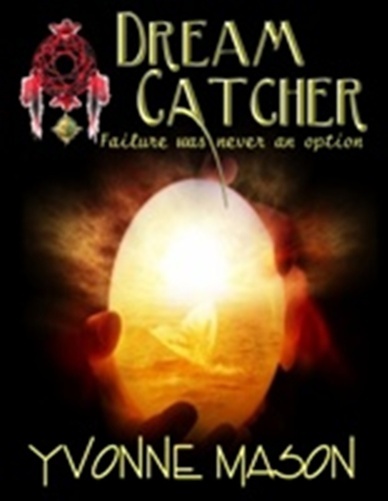 I read Of Dreams and Nightmares and thoroughly enjoyed meeting the characters, following them through their travels from England to Wyoming with death and destruction along the way and their final escape from the evil Jebediah Whittaker. 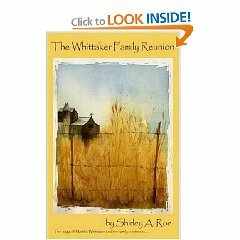 I’ve also enjoyed The Whittaker Family Reunion which takes their lives and stories into adulthood. Now I’m looking forward to reading Back to Whittakerville in hopes that Anna will realize the hurt she has created for those that love her and straighten out her life. The story, as well as the history written into these books, make them unforgettable.